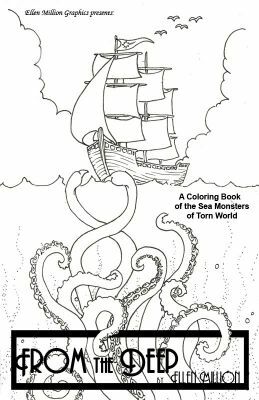 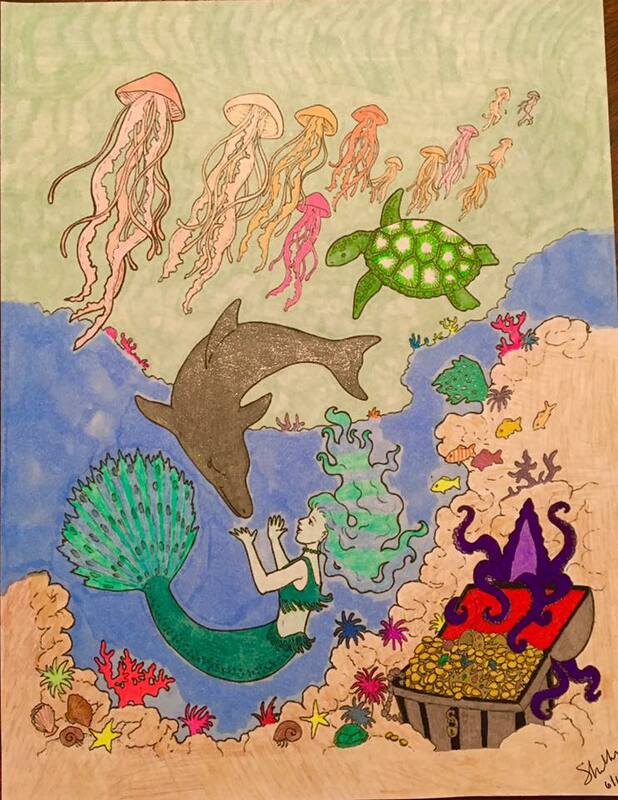 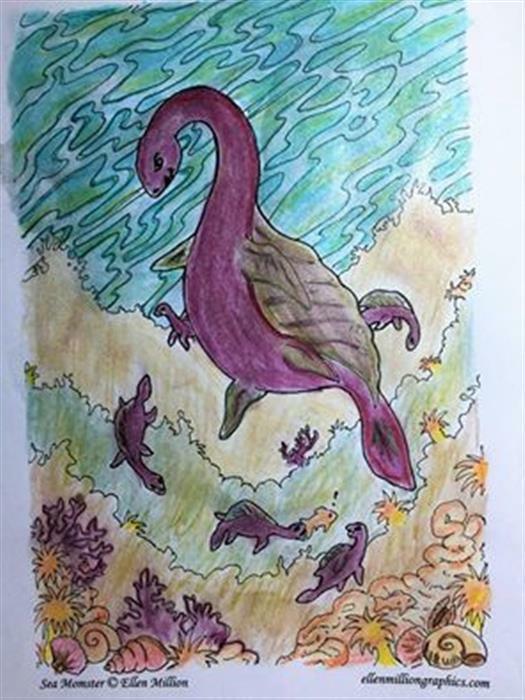 A half-sized (5.5 x 8.5 inches) mini-coloring book of the sea monsters of Torn World. 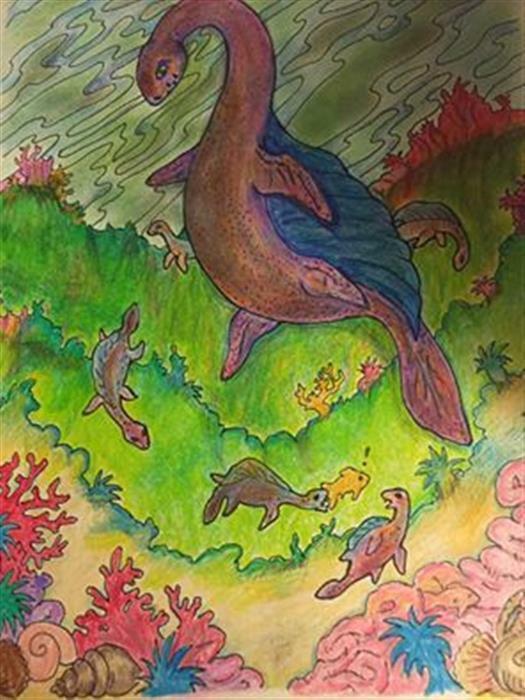 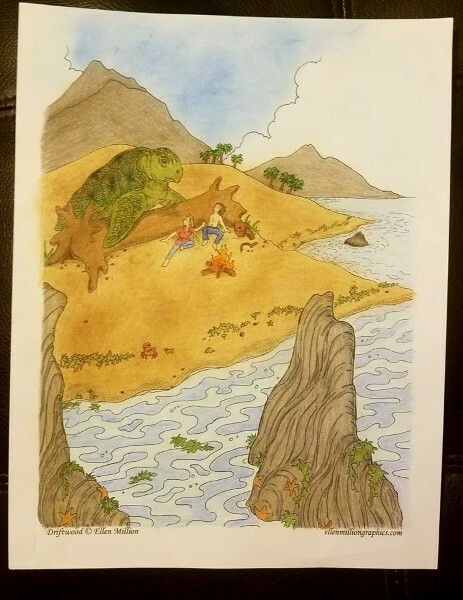 Giant sea turtles, monsters like the Loch Ness, or based on ancient dinosaurs or massive krakken; these denizens of an angry sea - and even a few mermaids! 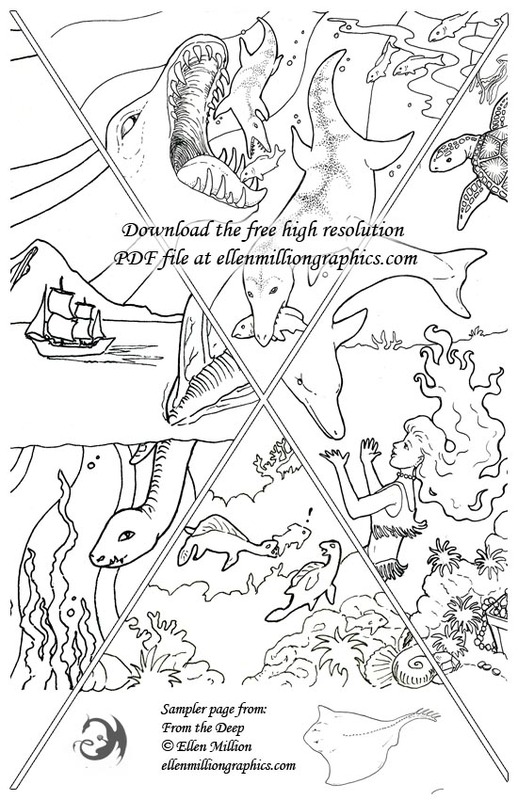 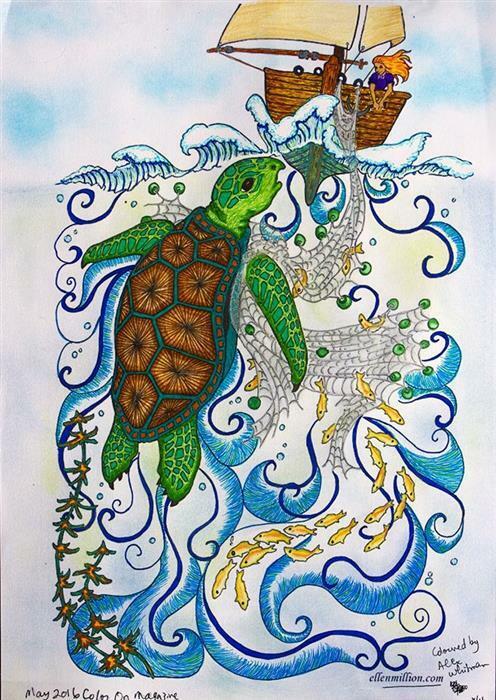 - are the subject of finely detailed coloring pages in a convenient travel size. 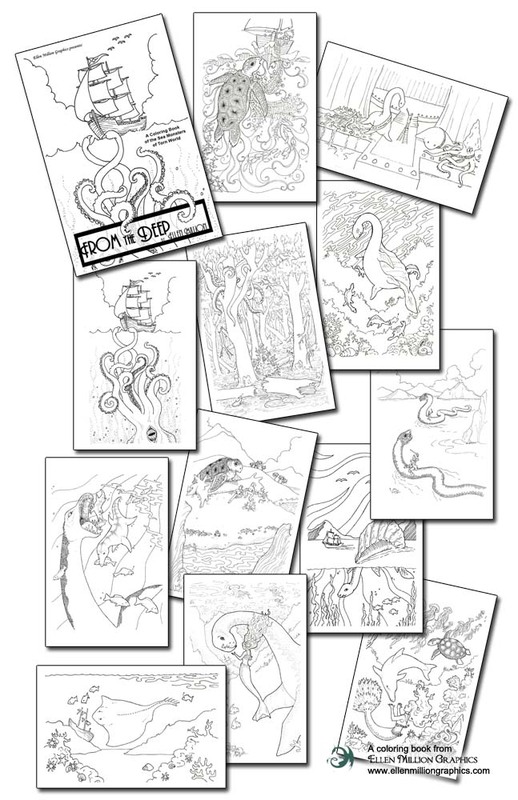 12 single-sided pages.